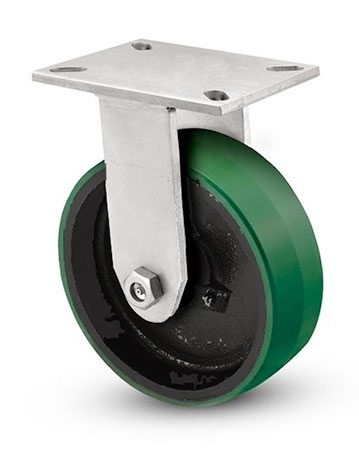 Our Heavy Duty Rigid Caster with a 12 x 3" Polyurethane on Cast Iron Wheel. This series caster is made from ASTM1045 steel. Top plate is 5/16” thick drop forged steel. The legs are formed from 3/8" steel, double welded to the top plate for maximum strength. There are over a dozen wheels, bearings, brakes and options to choose from. on your heavy duty carts. Common applications: Conveyor tow lines, heavy duty carts and equipment, production dollies. 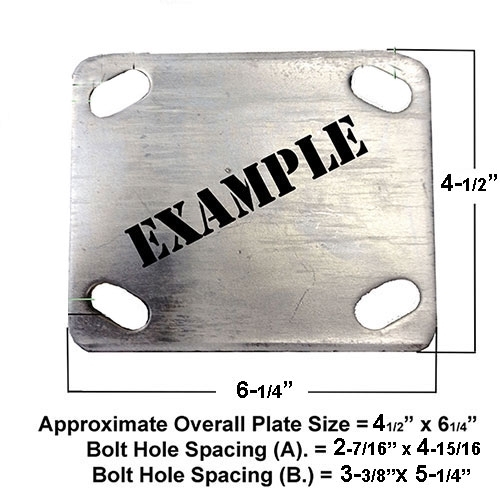 4-1/2" x 6-1/4"Top Plate..
Approx. Overall Ride Height : 13-1/2"